Harajuku girl dressed in a stylish modern meets kimono ensemble with a kimono hairstyle, kimono stole and floral kimono bag on the street. Japanese fashion model in olive green bomber jacket and parachute pants ensemble while out on the Harajuku street. Harajuku girls in dark street fashion with maxi coat over a turtleneck sweater, pants & pointy heels; bomber jacket over a denim button down dress, lace up boots and floral chain sling bag. Harajuku girl in monochrome fashion wearing a knit top over a black ruffle dress, black pants, doll shoes, and a floral sling bag. 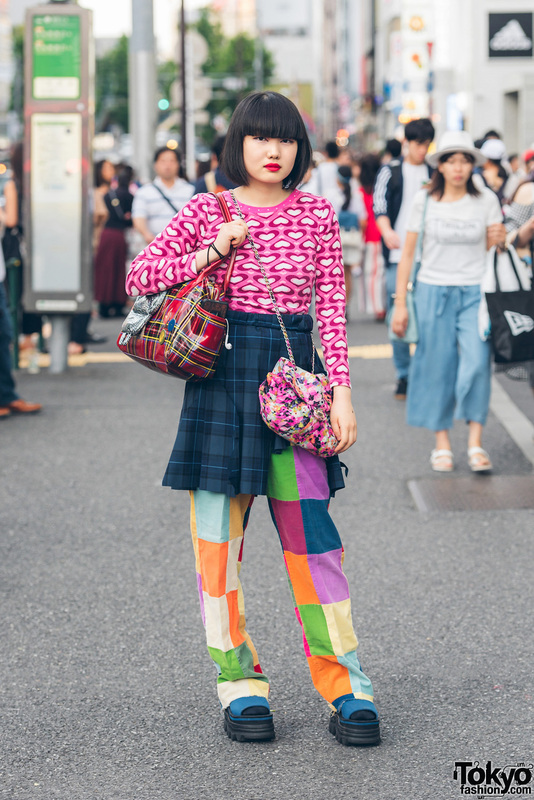 Harajuku girl wearing a floral print colorblocked long sleeve dress under a gray ruffle dress, platform boots, a floral sling bag, and a yellow beret hat. 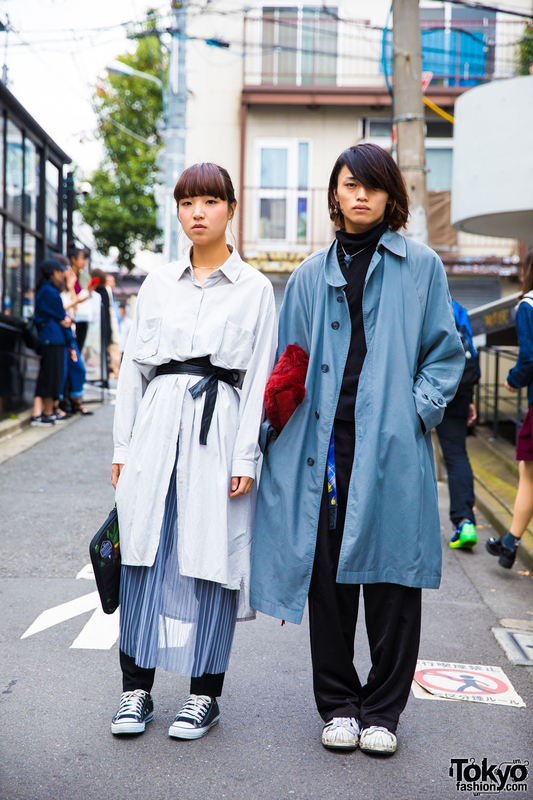 Harajuku guy and Harajuku girl in street style ensembles featuring shirt dress over pants, obi belt, long coat, turtleneck top, and sneakers.